Doors 6:30; Show 7:00 p.m. 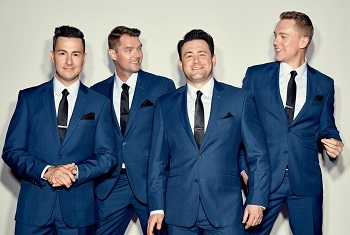 The group was founded by leading cast members of the Tony Award-winning sensation “Jersey Boys” and the guys have performed all over the world in countless other Broadway shows including: “42nd Street”, “Good Vibrations: The Beach Boys Musical”, and “The Book of Mormon”. Performance after performance they prove that retro never sounded so now!